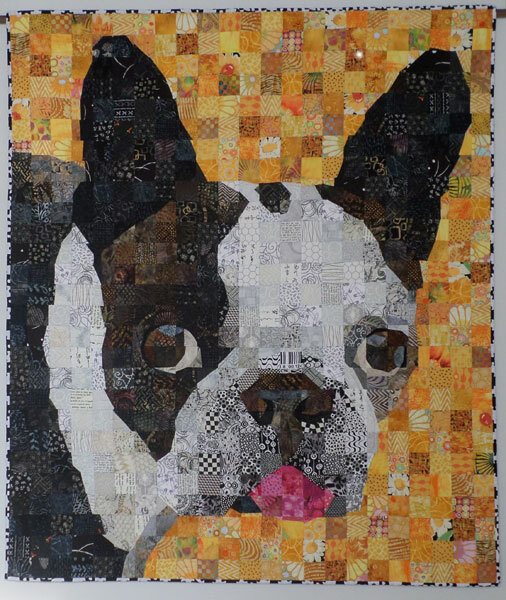 I have been dabbling with a new quilting technique and this dog named Chevy was the perfect subject matter for it. With a face like that, it was easy for me to use quirky or wild fabrics and not feel intimidated. It’s possible this dog looks better in fabric, but I’m sure the owners will dispute that!